My name is Chris Dacus and I live in Hawaii with my loving wife Cheryl. In 2006, I started showing signs of having early onset Parkinson’s Disease and was finally diagnosed in 2011. I retired in December of 2016 to take better care of myself. At that time, I was at the height of my landscape architecture career when Parkinson’s Disease started to make my job more and more difficult. In my profession, my hands were vital as my work required me to type, draw and write. However, my hands became more and more inflexible until in mid 2016 I was reduced to 1-2 hours a day of work. It was readily apparent I had worked too long. I had four neurologists and countless other medical staff that helped me and their focus was on an array of medicines and surgical solutions. For my self, I spent hundreds of hours researching what works and doesn’t work for Parkinson’s disease. I discovered a number of strategies which I found to make a difference. I would like to share with you ten key ideas that I have been living by, which I call the 'Get Moving plan" and its working. Understanding that others are in similar predicaments, I decided to share with the community the ‘Get Moving’ plan. I would like to share one major project that I completed in 2017. 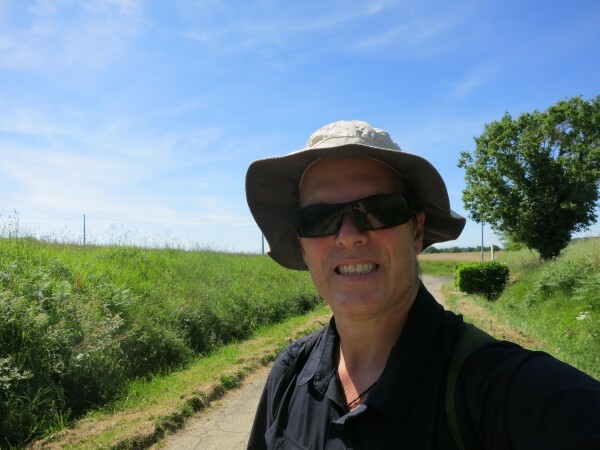 I walked 1,100 miles in 2017 from the Pyrenees to Rome to inspire myself and to show others that it is possible, even with Parkinson's, to continue to live a meaningful life. I love the look of your new webpage.